When the Randolph Community Forest was established, one of the goals was that it be self-sustaining. The Forest should not cost the community money. And, income from Forest activities, such as timber harvesting, should remain within the Forest account be used for future projects. The fact that the Forest has to live within its means raises the possibility that projects which are not revenue producing may need to be scaled down or deferred. Wildlife habitat improvement – one of the major goals of RCF forest stewardship plan – might have fallen into that category, except for the fact that the Town was the beneficiary over the last ten years of a grant of Federal money from the Wildlife Habitat Incentives Program (WHIP) which has allowed it to accomplish much. Because of changes in federal law, however, public entities, such as the Randolph Community Forest, are no longer eligible for WHIP financing. So, the WHIP projects on the RCF have been brought to a close. A notable component of the forest financial structure is that charitable gifts can also be accepted. This allows interested individuals and groups to support specific projects or goals of the Randolph Community Forest’s overarching mission. The Randolph Community Forest’s latest wildlife opening is near the new Community Forest trailhead, at the end of Randolph Hill Road. It features views to the east, into Maine. 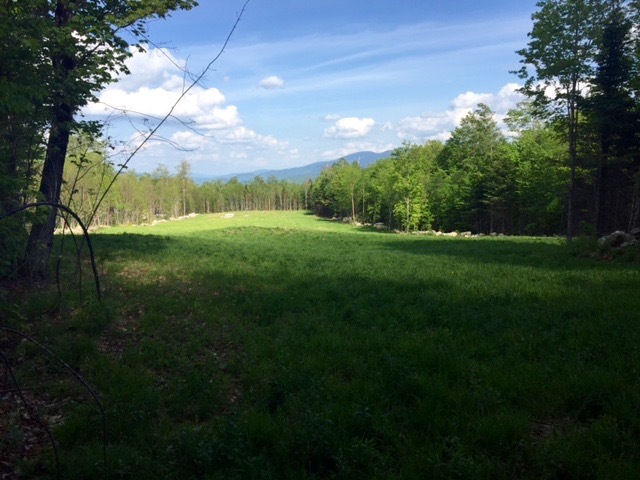 With that background in mind, the Randolph Community Forest is pleased to share that it recently received a gift of $150,000, from the Kigme Fund, an advised Fund managed by the New Hampshire Charitable Foundation. The grant is broadly intended to permit the continuation of the activities carried out over the last decade with WHIP funding. Additionally, and more specifically, it is to be used to enhance wildlife habitat on the Forest. There will be a focus on encouraging greater diversity of wildlife, tree species, and tree ages. Close attention will be paid to creating and enhancing habitat for those species listed by the State of New Hampshire as being in greatest need of conservation. The gift will also allow for “experimental activities and developing innovative approaches” for enhancing wildlife habitat. This is in keeping with the hopes of many who helped create the Forest, that our community forest be used, where possible, to advance our knowledge and understanding of forest management. For more information on gifts to the Randolph Community Forest, please email us any time, or contact one of the Community Forest Commission members.